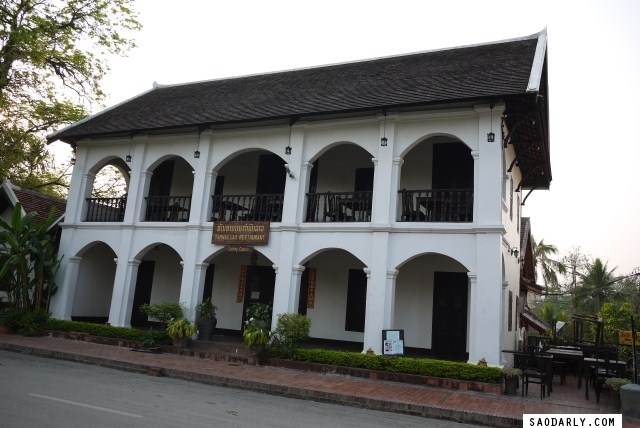 Tamnak Lao Restaurant in Luang Prabang is one of the places that I would go for lunch or dinner whenever I’m in town. 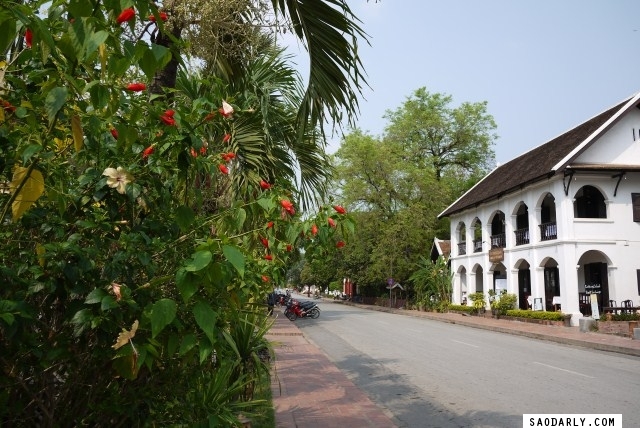 I’ve been there and dined alone a few times and also with foreign friends. 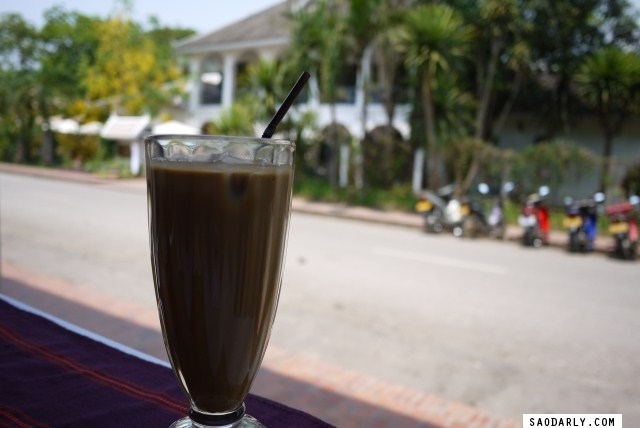 It’s nice to sit there and enjoy a tall glass of Lao Iced Coffee while waiting for my food. 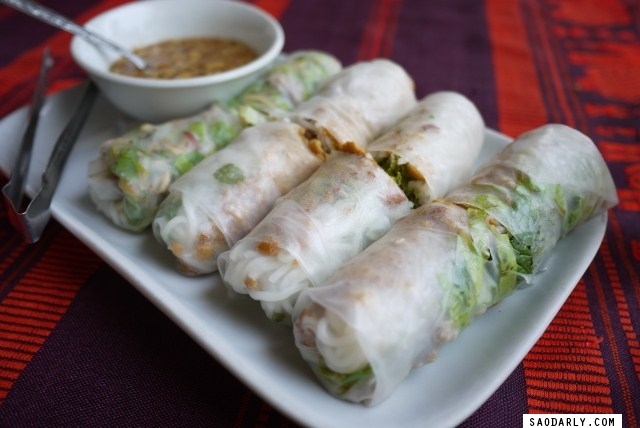 On this particular day I ordered Luang Prabang Salad and Fresh Spring Rolls for lunch. I was given plenty of food and the service was great as always. 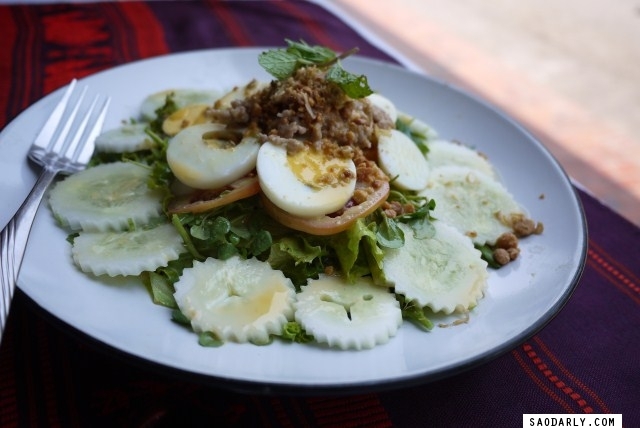 If you are ever in Luang Prabang, then be sure to drop by Tamnak Lao Restaurant for breakfast, lunch, or dinner. They also have a cooking school you can take part in. My foreign friends took a day off from their sightseeing and took part in the cooking class and told me they loved every minute of it.